I love babies! 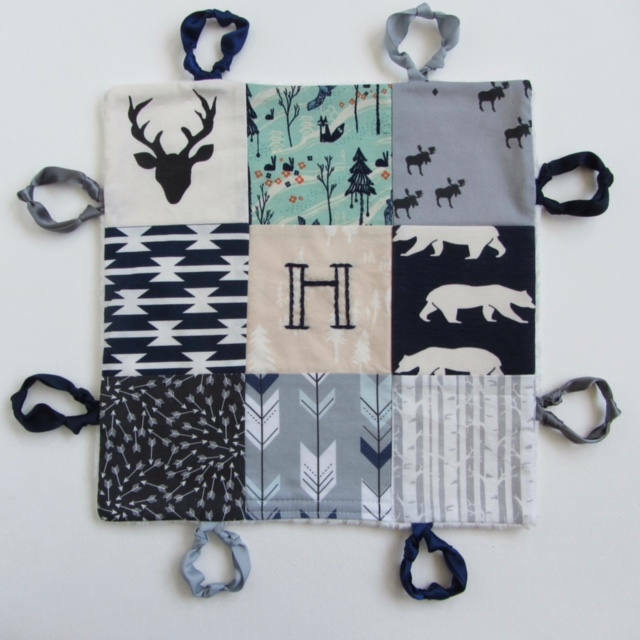 I created this lovey for little hands to snuggle and cuddle. 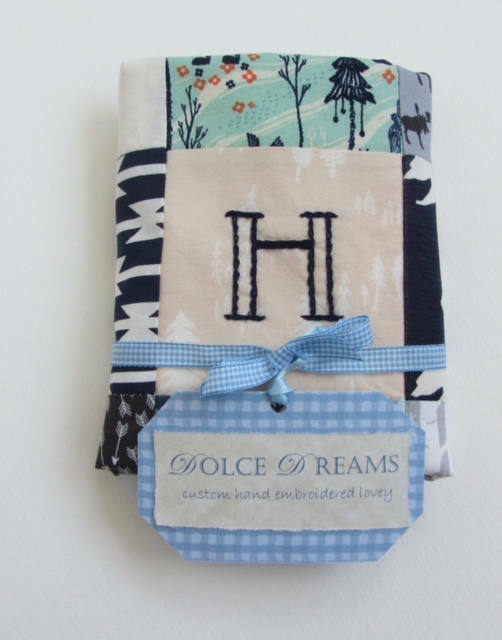 With gorgeous patchwork in beautiful designer fabrics ( this one features Buck Forest Mist by Hello Bear for Art Gallery), elegant custom hand embroidered name or initial, and satin and grosgrain circle knotties that babies love to finger and caress... The backing is a sumptuous white on white thick striped minky fabric. 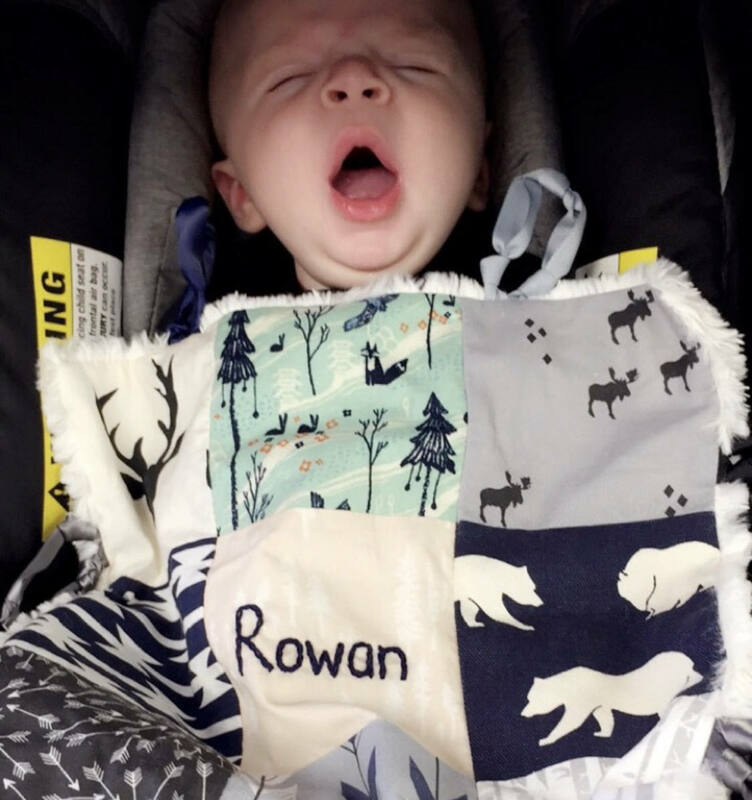 This is exceptionally soft and comforting - every baby that has received one becomes attached immediately....Just take a look at the Feedback comments! 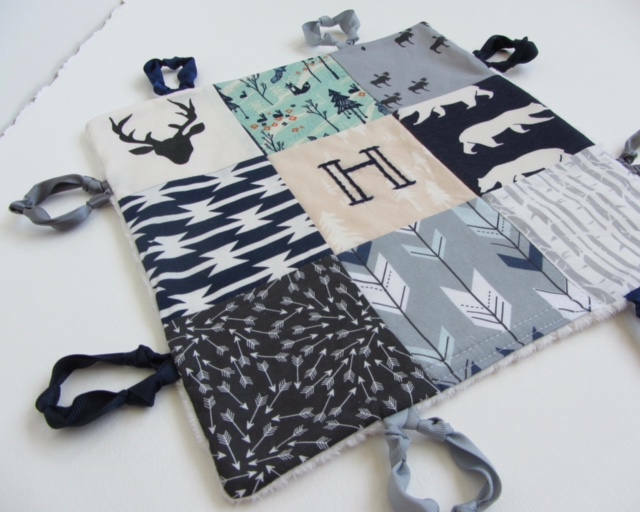 * 12" by 12" size is perfect for little hands to clutch and carry everywhere. 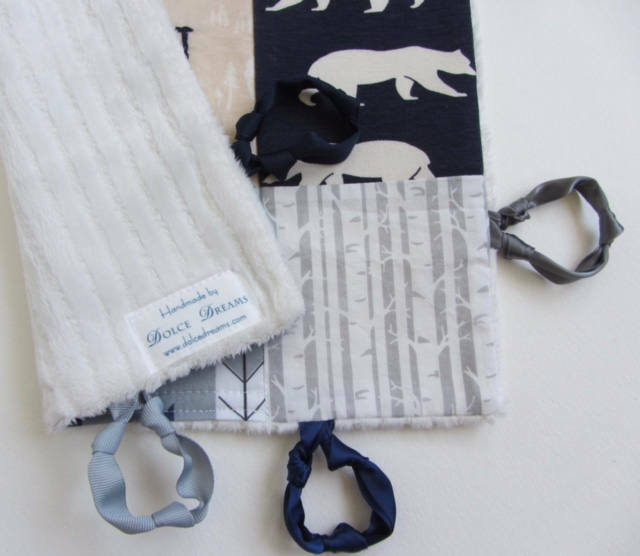 * Each lovey is unique due to hand crafting and fabric variations. * Hand crafted and embroidered, machine stitched and re-enforced for durability. * All of my fabrics are pre-washed and shrunk. * As the loveys are made to order, please allow up to 12 weeks for shipping. 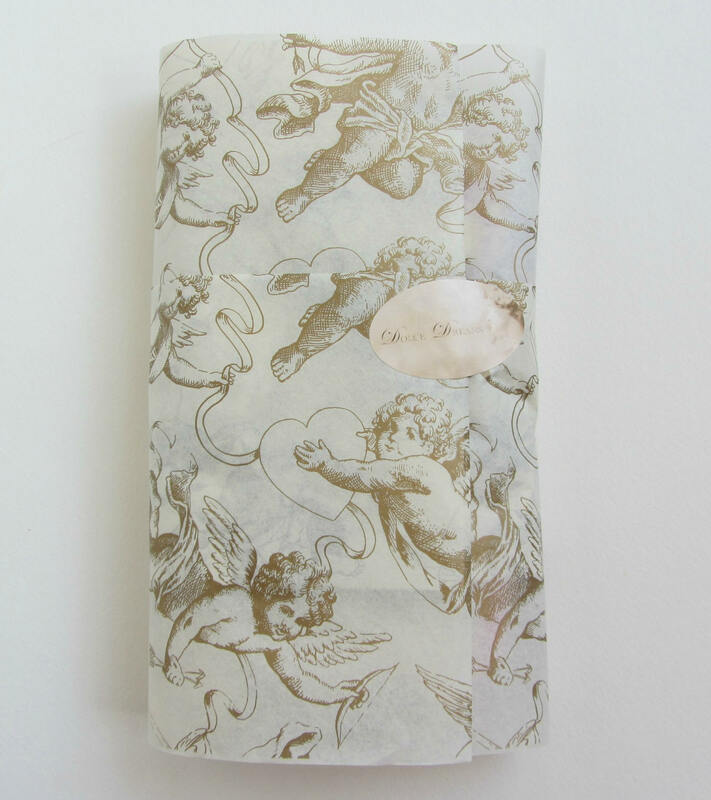 * The loveys are tied with ribbon and wrapped in tissue, ready for gift giving. If you need a gift card enclosed, let me know! * If you combine this with another item from Dolce Dreams, the lovey will ship for free.